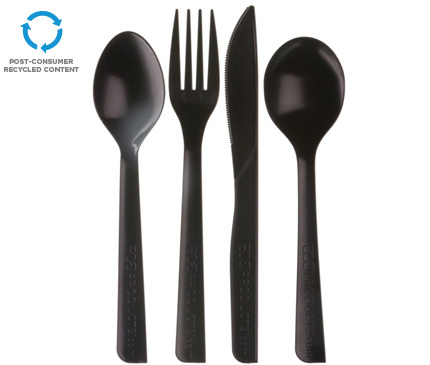 Our 6 inch recycled cutlery such as our 6" knife, is great for hot or cold foods. Use our 6 inch recycled utensils, such as our 6" fork, at your next outdoor function. These 6 inch eco utensils, like these 6" spoons, are best used at all your events and outdoor gatherings. Our 6 inch eco cutlery, like our 6" soup spoons, is a great way to green up your deli or office kitchen. Use our 6 inch eco tableware kit at your next party, picnic and company bbq.